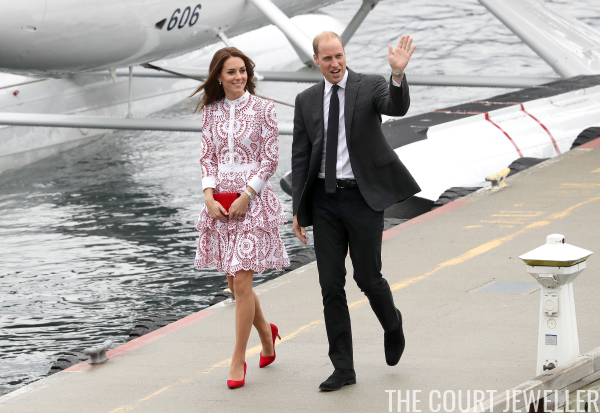 The Cambridges' royal tour of western Canada continued on Sunday with events in Vancouver. Here's a look at Kate's jewelry choices for the day. 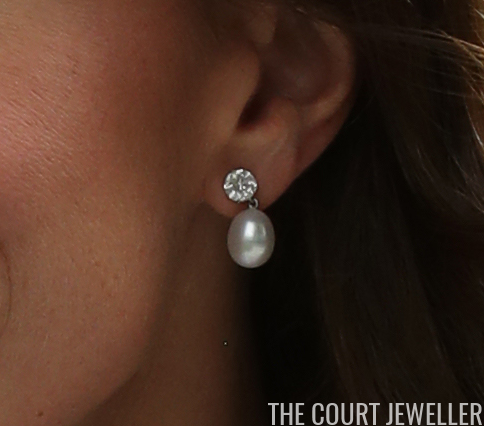 Kate chose earrings with a diamond stud and pearl drop for Sunday's visits to the Immigrant Services Society and Sheway. Here's a closer look at the earrings. I don't think we've seen this particular configuration on Kate before. I've seen speculation that the pearl drops could be the baroque pearl pair from Annoushka, but the metallic loop atop these pearl drops appears to be significantly smaller than the loop on the Annoushka pair. The place where the drop and stud connect makes it look -- to me, at least -- like these drops are not interchangeable. UPDATE: Heavenly Necklaces has announced on Instagram that these are their earrings. I've still seen some skepticism of this, but we'll see! The Countess of Wessex, who is also a Heavenly Necklaces fan, has worn a very similar pair of earrings once before. UPDATE #2: Kate wore these earrings a second time on her visit to the Netherlands, and royal reporters have confirmed that they are on loan to Kate from the Queen. She wore a very similar pair -- possibly the same ones -- during her Silver Jubilee festivities. 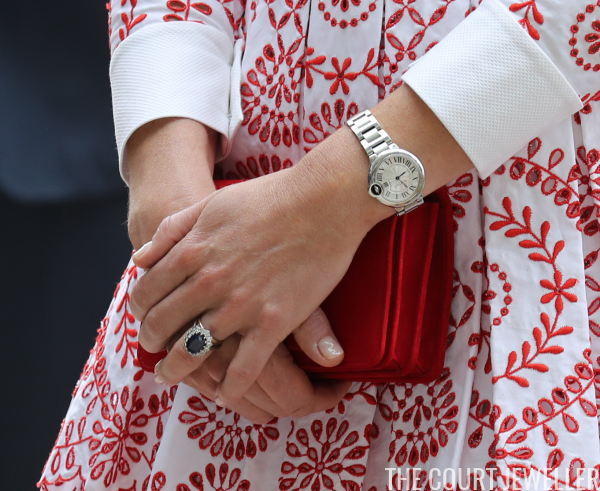 Kate also wore a few familiar pieces: her Cartier watch and her wedding and engagement rings. 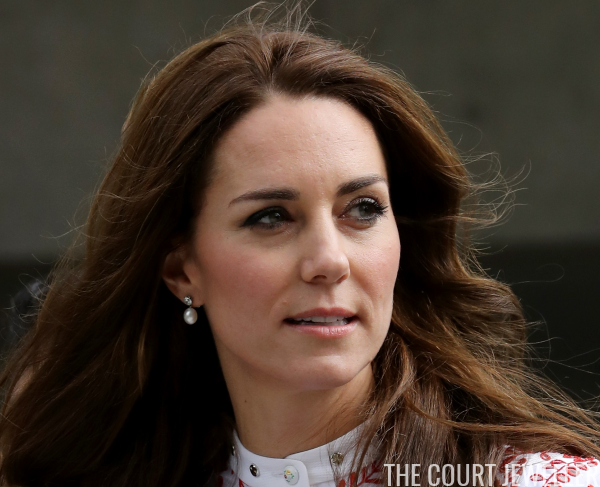 What do you think of Kate's jewelry look for today?